Product details: The "Crate of Sunshine" is Sol Soap's flagship product, providing a sample of all of our products in one package! 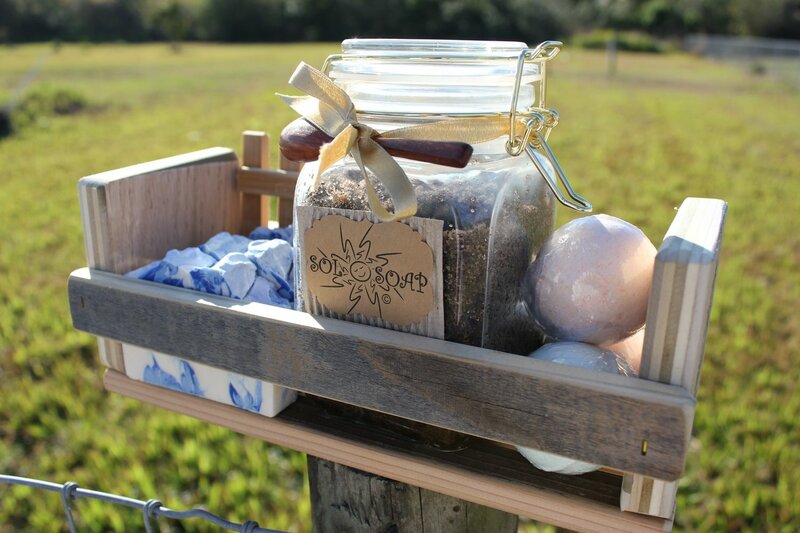 The package includes your choice of; 1-large 30 oz Sugar Body Scrub", 2- 4 oz Soap Bars, 2-medium bath bombs and a bamboo soap tray, packaged together in a handcrafted oak wood crate. We will contact you following your purchase to select your choice of products. Package dimensions: L 11" x W 5" x H 6-1/2"